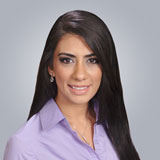 Meet Oviedo dentist Dr. Maryam Moarechipour and learn about affordable, comprehensive family dental services including cleanings, fillings, extractions, root canals, crown and bridgework, dentures, and same-day emergency dental appointments. Looking for a new dentist in Oviedo, FL? Coast Dental invites residents to meet Dr. Maryam Moarechipour at an open house that will be filled with fun for the whole family on Saturday, October 18 at 1013 Lockwood Boulevard, next to Winn-Dixie. There will be a balloon artist who will entertain children with balloon animals, plus raffles, giveaways, and a lot of great information on how to restore smiles, replace missing teeth, and prevent cavities. For more information, call (407) 278-0934. Coast Dental makes it easy for the whole family to receive the dental care they need. Dr. Moarechipour treats adults, teenagers, and children as young as 5 years old. The Oviedo dentist and her friendly team offer general, restorative, and cosmetic dentistry services including cleanings, fillings, extractions, root canals, crown and bridgework, dentures, teeth whitening, and same-day emergency dental appointments. They look forward to answering questions about how people can look and feel their best. General dentist Maryam Moarechipour, DDS, has been helping people smile since 2008. She earned her first dental degree from the Ajman University of Science and Technology in Dubai and earned her Doctor of Dental Surgery degree from Nova Southeastern University in Davie, FL. Dr. Moarechipour speaks English, Farsi, and Arabic fluently. Coast Dental accepts more than 200 dental insurance plans and discount dental plans, plus has a number of special offers available. The first 100 patients who complete treatment valued at $100 will receive a complimentary InteliSonic power toothbrush with built-in UV sanitizer. New patients without dental insurance can receive a free new patient exam or emergency exam. Coast Dental also offers SmilePlus®, which can save patients without insurance up to 70% on their dental costs. There’s no cost to join and patients can sign up during the open house. Additional offers and details are available at http://www.CoastDental.com. Patient financing and payment plans are available to qualified applicants. For more information or to make an appointment, please call the office at (407) 278-0934. Coast Florida P.A., with its professional associations, is one of the largest providers of general and specialty care in the United States with more than 175 affiliated practices operating as Coast Dental and SmileCare in Florida, Georgia, California, Nevada and Texas. Coast Dental Services, Inc. is a privately-held practice management company that provides comprehensive, non-clinical business and administrative services to its affiliated practices. The company is headquartered in Tampa, Florida. For more information, visit CoastDental.com.